TORONTO (RNS) — Yes TV, Canada’s largest multifaith broadcaster, has sent a letter to the Canadian government offering to sponsor and settle Asia Bibi, the Pakistani woman who was cleared of blasphemy charges last week. Her death sentence was commuted by Pakistan’s Supreme Court on Oct. 31 following an appeal. The decision prompted violent demonstrations by the Tehreek-e-Labbaik Pakistan Islamist movement. Her lawyer, Saiful Malook, and his family have fled to the Netherlands out of concern for their safety. Although cleared of the charges, Bibi has been living in a prison converted to a safe house since the decision, unable to leave for fear of her life. The mother of five and her husband, Ashiq Masih, are pleading for asylum in Canada, the United States or the United Kingdom. Yes TV’s CEO, Lorna Dueck, wrote to Prime Minister Justin Trudeau and Minister of Foreign Affairs Chrystia Freeland on Nov. 5, urging them to welcome Bibi to Canada. 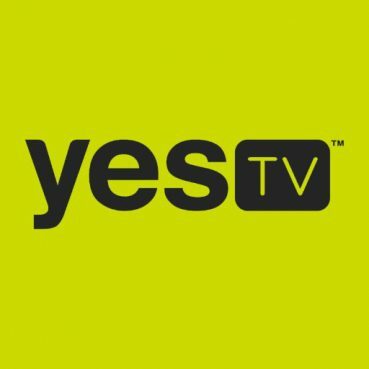 Logo courtesy of Yes TV. “With Asia’s own expressed desire to seek asylum in Canada, our country must welcome this woman and her family, who, unless a nation intervenes imminently, will face death despite the expressed full pardon of her own Court and government,” she wrote. “I know of safe and accepting Canadians who would be eager to put a network of safety around Asia and her family,” she added, noting that Yes TV is committed to providing the family with full sponsorship in Canada. She added that “Canada should lead the world” in offering them safety. A source in contact with the prime minister’s office confirmed it had received the letter. Perhaps we should ALL spend a little “quality time” with the men in the photo who are so obsessed that some woman should be killed for blasphemy. It might help us focus on how objectionable religion can get. As frenzied as they are, maybe we can bring them to the US, give them guns, and send them to defend our southern border from the invading women and children. Yuk! I hope you’re joking! Okay. I’ll give you a point for snarky humor (with which I agree because we are lefties.) But seriously, we are looking at a bunch of men made both crazy and mean by what they were taught of religion. That’s Islam, of course. But other religious traditions do it too. We need women and men worldwide who are willing and able to talk the whole thing down as the ridiculousness that it is. She has been jailed for 10 years for asking “what has mohammed done for world peace?” Oh, and apparently she was thirsty and drank from a cup of water reserved for muslims only. # This is exactly what liberals in the West don’t comprehend when they defend Islam- Islam is a hateful disease. “Killing Unbelievers is a small matter to us” The words of Muhammad, prophet of Islam. So many open ended calls to hatred. There are 109 in the quran alone whilst there are NONE in the new testament and the calls to violence in the old testament were to clear the land of Israel only. Big difference in open ended and closed but liberals lack the brain power to comprehend this. Also note that there was no call for the tribes of Israel to make war on those who disbelieved- there was no war to convert ever. Islam however is a global scourge, dedicated to our complete destruction. With what are you disagreeing? That Canadians are offering her refuge or that the Pakistani Supreme Court found in her favor? The dangers of irrational belief are so clear in this poor woman’s persecution. Islam is certainly the most virulent example of this today, but hardly the only one. Keep religion out of laws. Our modern day laws come from the ten commandments. If you don’t like such laws, maybe isolation in remote New Guinea among the cannibals would better suit you. The Pakistanis are people like me. As a matter of fact, they are me. Given this, they can very well keep a Christian woman in their own country. Recent events in nations with high radical Muslim populations don’t bear witness that is true. If she tried to live a normal life in Pakistan with her family, she would be dead within a week, if not a day or so. Sadly, religious folks in that area of the world don’t appear to be rational regardless of their religion; Muslim, Hindi, Buddhist have all risen up in mad riots over religious reason. That isn’t normal. Your second paragraph says a lot: “Sadly … mad riots … religious reason.” You have low expectations, namely, “that part of the world” isn’t capable of becoming liberal. This culture of low expectations has been in existence since the 1850s. Over the years, it has become a self-fulfilling prophecy. The mob in the photo with the article screaming for this woman’s death can’t be self-fulling prophecy as I don’t believe that they are consciously behaving this way because they think folks in the West expect them to.